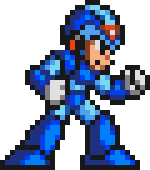 One of the main characters in the comic and the star of the video games, Mega Man is the epitome of the dumb hero. While always virtuous and victorious, he has the brain the size of a peanut and it oftens shows. Mega Man's older brother and prototype design, Proto Man is considered the most strategic fighter and one of the coolest characters in the cast. Taking everything in stride, this sunglasses-clad hero is caring and yet often embarrassed by his little brother. As creator of the comic and near-omnipotent ruler of the universe it inhabits, the Author tries not to get directly involved in the affairs of the characters, aside from the occasional contrived plot device. A superhero from another dimension with the ability to control lightning, George is a generally good-natured ice cream lover. And while he's consistently saved from certain death by contrived plot devices, his experiences with time travel have not been kind. As George's younger brother, Bob naturally fell into the role of powerful super-villain. 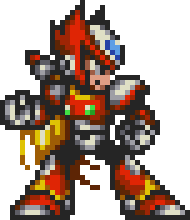 After being banished to the Megaman Universe, he has spent his time wandering the multiverse, seeking his home and his ultimate revenge. Dr. Wily's ultimate success in copying and surpassing the power of Mega Man, Bass is perhaps the stupidest character in the entire comic. 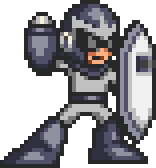 Like Mega Man, though, he is an excellent fighter and can be very dangerous. In the present, X is stuck in a capsule, running simulations to control his otherwise anti-social tendencies. In the future, X is one of the most powerful robots ever created and a reluctant leader in the fight against Mavericks and saving humanity. Based off of X's designs (stolen by Bass in Megaman 7), presently Zero is also nothing more than a nearly-finished bucket of bolts, sitting on one of Dr. Wily's lab tables. But in the future, he is possibly the most powerful force the world has known, superior possibly to even X.
Dr. Light has made several mistakes in his career, most of which involved trusting Dr. Wily. Because of this, while he remains the foremost authority on artificial intelligence and robotics, he is also an alcoholic. Will this effect his next greatest creation? Probably. 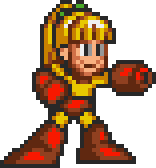 Designed to replace Mega Man as Dr. Light's assistant, Roll has grown out of that role and donned a battle suit to fight the forces of evil. As one of the few females in the cast, she is in the unfortunate position to represent her entire gender, which can't be easy. Originally an evil Yellow Demon designed to destroy Mega Man, Nate was reprogrammed into a powerful force for good. He is the most soft-spoken (to the point of never speaking) and possibly the smartest character in the cast. Also originally an evil foe, this Purple Demon was a minion of Mynd before he realized the error of his ways and switched teams. Perhaps the ultimate lover of ice cream and definitely a danger to all who threaten him, Chadling is an extremely powerful opponent. Another former minion of Mynd, and lover of overly-complicated martial-arts moves, Mike fell off a cliff and was thought to be dead for quite some time. He was rescued and his body was been rebuilt with robotic parts, but did it make him a better ninja? Created by Dr. Cossack's daughter as a last-minute science fair project, Ran is a favorite of the community. Because of his haphazard construction, though, he breaks fairly easily and must respawn frequently. 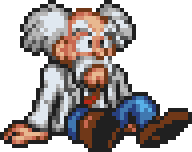 Essentially the cause of all the problems in all the Megaman games, Dr. Wily is nevertheless a fairly incompetent robotist. He is constantly working on some new scheme to defeat Dr. Light and Mega Man once and for all. 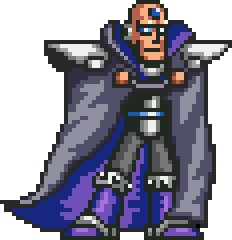 Once the ultimate villain, Mynd was nearly successful in defeating the cast and taking over the Megaman Universe. He was defeated by the combined forces of Bob and George but later returned later in the service of Bob and Helmut. Originally nothing more than a constant nuisance on the site's front page, Helmut infiltrated the comic and tried to destroy it. 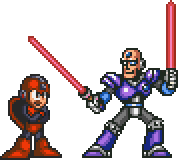 After his defeat, he was banished to the netherworld of the white space, but later escaped and merged with Bob to bring about the destruction of the Megaman Universe. Another mysterious author whose origin is unknown, the Shadowy Author appears to be neither friend nor foe. He seems to run the Rockman Universe and has been known to interfere with coma dreams and spirits-to-be. 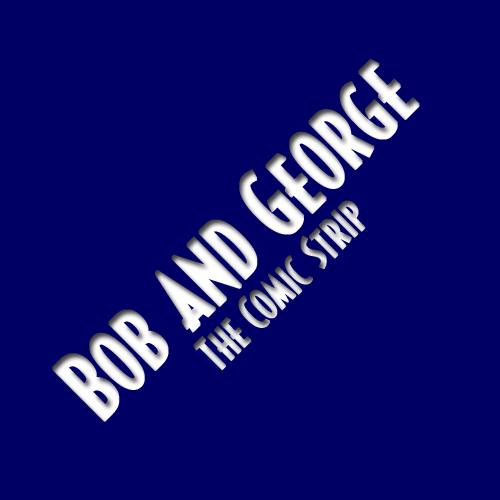 He merged with George to help defeat the combined forces of Bob and Helmut. Physically similar to regular Mega Man and Bass, but incredibly intelligent. Capable of traversing the entire space-time continuum at will, they were once charged with the task of retrieving Bob's blaster... by their future selves. 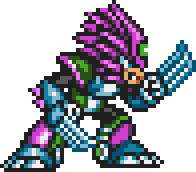 Non-Alternate Mike (also known as Edward) is the Mike from the original Megaman Universe and the head of a global ninja organization. He once sent his head lacky, Non-Alternate Mynd, to kill Mike for impersonating him. For more characters and statistics, visit the Stats Page. All material except that already © Capcom, © David Anez, 2000-2014. This site is best viewed in Firefox with a 1024x768 resolution.